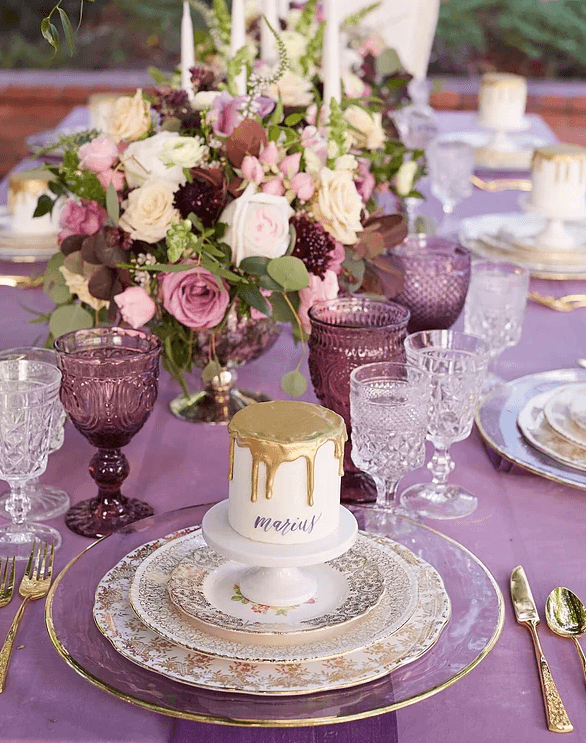 Every season there are new wedding trends to be on the lookout for. Every couple falls in love with something that suits their own personality and reflects the vibe they want to experience on their special day. 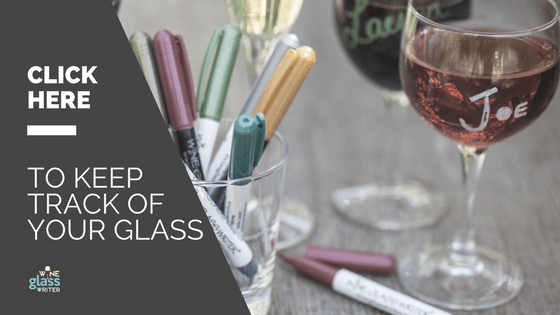 Regardless of the what your plans are, there are plenty of ways to incorporate the latest trends, and we chose a few of our favorites to share with you. When it comes to incorporating new beauty trends into your wedding, there is an incredible amount of ideas to tap into. As you'll see, the experts we have chosen to feature here, know that ceremonies and receptions alike can reap the benefits of this year's trends. 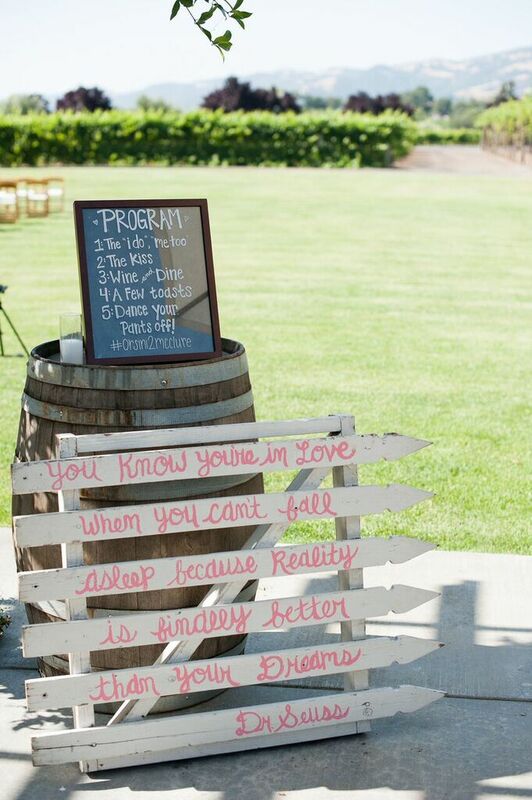 So before you plan your special day, take a peek at these beautiful ideas from real weddings. 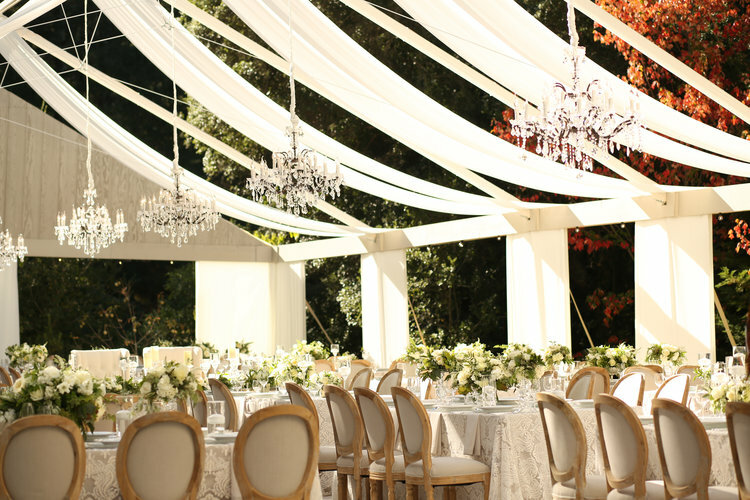 When you are planning a vineyard wedding or even just want to bring the vineyard vibes to you, L'Relyea Events gives us all the tricks of the trade. On their blog, L'Relyea tells of how "Roxanne & Steve envisioned a Wine Country weekend getaway for their big day, and Trentadue Winery was the perfect backdrop for this. 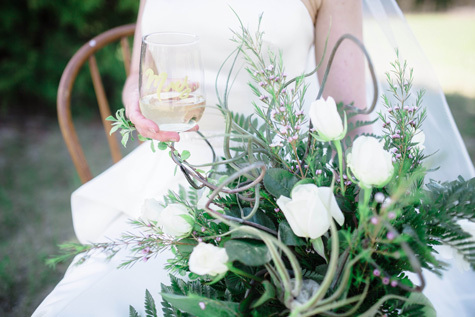 Through subtle pastel tones, romantic, rustic accents, and with the help of Trentadue Winery's lush surroundings, this venue was transformed into the perfect outdoor vineyard setting. While this event nodded to the simple & organic aesthetics of the winery setting, there were several personal touches that created a unique and special atmosphere for the bride & groom. From the customized marquee bar sign to the love stories hand selected by the couple and incorporated throughout the event, the attention to detail did not go unnoticed. [caption id="attachment_4244" align="aligncenter" width="681"] Photo Credits: L'Relyea Events, Jennifer Bagwell Photography[/caption] We incorporated rustic whitewash farm tables, coupled with handmade runners. Each table was adorned with handmade table numbers, vintage crystal vases (all hand sourced by our crafty bride), and collections of love stories that the couple gathered during their one-year engagement leading up to the big day. This group was full of fun. They sipped on wine-based cocktails, noshed on wine country delicacies, and enjoyed cordials and cigars throughout the evening. After dancing the night away under chandeliers and a garden gazebo, guests bid them a farewell with sparklers."